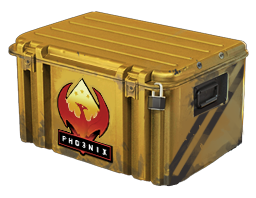 If youâ€™ve been enjoying success playing the many games available to you on Bananatic and are an avid Counter Strike Global Offensive fan, see if you have the points you need to get the Operation Phoenix Weapon Case Base Grade Container for free today. The box could contain anything from the UMP-45 Corporal to an exceptionally rare item. Just what is inside the container? Not got enough points to get the Operation Phoenix Weapon Case Base Grade Container for free? Donâ€™t despair if so â€“ you may still be able to get it by playing our generous Bananabet lottery.